Do women really love Dad bods? Should you ditch fitness for a dad bod? If you’ve been following the Hollywood news lately, it seems that Dad Bods – men with seemingly plump bellies – are getting quite popular with women. With renowned Hollywood stars Seth Rogen, Jason Segel, Adam Sandler, and even Leonardo DiCaprio now sporting dad bods proving once and for all that dad bods are attractive and here to stay – or does it? Basically, a dad bod is a semi-fit body type that involves very little working out (if any), and an unrestricted diet without taking the best supplements for fat burning. It can be more aptly described as a cross between having a workout body and a beer belly. It’s a body type all on its own – overweight, yet with some discernable muscle tone to it, and apparently women love it for some reason. It seems that the dad bod is the body to have for men – less maintenance and you still get to be attractive. Awesome, right? Some descriptions about dad bods describe dad bods as the grownup version of the boy-next-door look – a man-next-door look if you may, a gray zone between flabs and abs that you generally see every day. This goes by saying that by being completely ordinary and mediocre, you get to be attractive. Does that make sense? Is the dad bod really attractive? This is one for the ladies to figure out, but I believe there’s a deeper meaning to all of this. Attraction is a complex buildup of a lot of factors – being sexually attractive is just one of them. The roots of the dad bod trend go back to the celebrities who proudly sported them. You’d have to admit – having a dad bod on a celebrity does seem OK to say the least, but would really women prefer dad bods over a lean muscular body, or do they prefer dad bods because it makes them more attainable? The truth is, women – like men, also date within their means. We tend to choose which ones to date, and commonly, we choose the ones that we believe to be within our reach. That’s why most of us won’t go for Victoria’s Secret models without something that would make them appear to be within our reach, and women won’t date Mr. Olympia for the same reasons. Having a dad bod makes celebrities appear to be well within the reach of the suburban housewife, and that’s why they say that they’d go for it. It’s not the body type that makes them attractive, it’s their social status, celebrity persona, and their own personality that makes them attractive. Should you go for a dad bod? The dad bod is designed to make both of your comforts meet. It’s saying that you want to work out, but you won’t deprive yourself of drinking with your buddies and the occasional pizza when you’re too lazy to cook. If you want a life of comfort, then that may suit you. However, by now you should know that a life of comfort also has its downsides. 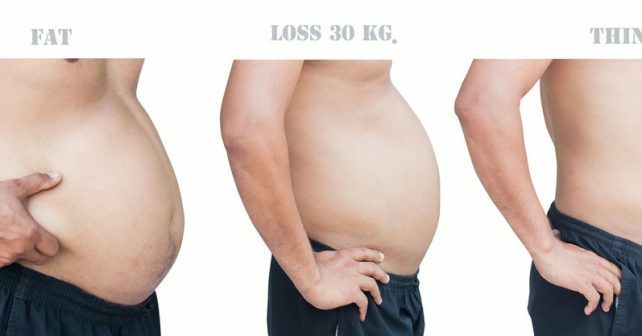 Having a dad bod can make you at risk for a lot of health issues: high cholesterol, hypertension, diabetes, erectile dysfunction. If you don’t watch what you eat, then you’re likely to develop these health issues eventually. Even when you say that you work out a bit just to stay within the norm, the eating habits of a dad-bodied man can be a health hazard for you. Will a dad bod make you look attractive? If you’re a celebrity, then a dad bod would suit you without any problems. It may be a cliché but your personality makes you more attractive. I believe that working out to be fitter and healthier has more to do with your confidence than what it does to make you more aesthetically pleasing. It also helps to make your first impression count. If you have a healthy, fit body, don’t expect ladies to be flocking, but you’d be flowing with confidence to approach a lady and ask her out. The difference isn’t great, really. After all, you’d still have to hit the gym even when you’re trying to hit a dad bod. The only difference is watching what you eat, and getting the most out of your workouts. If you want to get the best of both worlds, then try taking the best supplements for fat burning, which would allow you to consume the food you like, and still have the fit body you want.